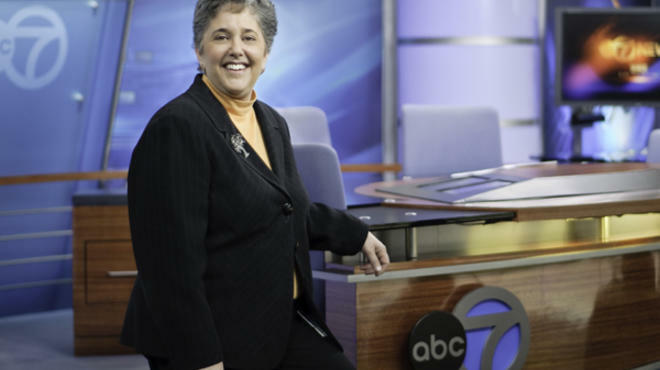 Emily Barr, who ran the most successful television station in Chicago for 15 years, is moving on to new challenges. But she’s not moving away. Barr, 54, resigned Tuesday as president and general manager of ABC-owned WLS-Channel 7, a unit of Walt Disney Co., to become president and CEO of Post-Newsweek Stations. From offices in Chicago, she will oversee the chain of six stations owned by Washington Post Co. in Detroit, Houston, Miami, Orlando, San Antonio and Jacksonville. After a two-month break, she’ll start her new job in July. From the moment she was approached about the job, Barr knew she would be staying in Chicago. Although it means she’ll be traveling a lot, she’ll still be able to raise her two daughters here and remain active in the community she and her husband have called home since 1997. “It will be very different for me because I won’t be coming in to a station with a big studio every day, but I’ll be visiting all those places regularly,” she told me. There’s no doubt that Barr could have continued to lead the top-rated and top-billing station in the market for as long as she wanted to. But when she was passed over for promotion to head the ABC Owned Television Stations in 2010, colleagues understood that she had loftier ambitions. Barr raised her profile in the industry nationally when she created Live Well Network, a 24/7 digital programming service now seen in more than 60 percent of the country. It also prepared her for the next step in her career. Barr’s successor at ABC 7 has not been named, but it’s likely to be someone from within the company, if not from within the station itself. In fact, Barr was the last general manager of an ABC station hired from outside — and that was in 1994 at WTVD-TV in Raleigh/Durham, North Carolina. She moved up to WLS three years later. Over the years, Barr has been praised as much for her personal warmth and unpretentious style as for her serious work ethic, shrewd business acumen and savvy advance of new technology. The secret to her unparalleled success?